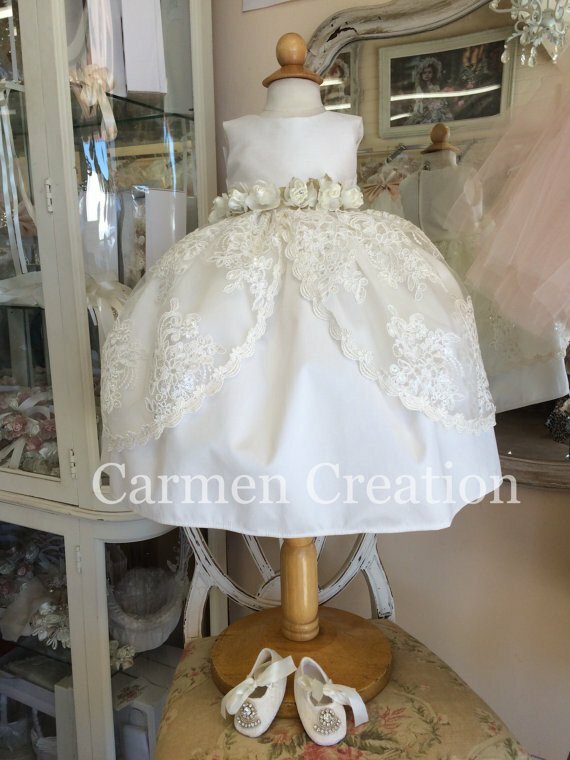 Our Vintage Princess Baptism Dress is a handmade one of a kind Victorian style Dress, item is available in size 12 months. Dress features vintage style lace over laid on skirt, Victorian flowers in the waist the dress is also fully lined for comfort. Listing includes Dress, matching Bonnet and Rhinestone booties. Items are off white/light Ivory.